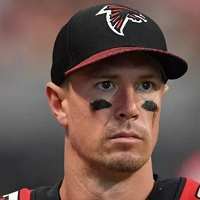 Matt Ryan who performed outstanding throughout his career. He selected as pro footballer in NFL league after the draft 2008. In 2018 he becomes one of the highest paid nfl quarterback. In 2016 he received the NFL passer rating leader award. He become the first player to earn 30 million per year after signing a new contract deal with Falcons uptill 2023. The total value of the of contract said to be ($150 million). Almost $100 million is guaranteed money. He will earn signing bonus of ($46.5 million) with half deferred to April 2019. Ryan become the most valuable player while leading the team to the Superbowl. The superbowl performance raise his marketing. Matt Ryan making almost $5 million per year from his endorsement deals. That include endorsements like (Nike, Gatorade, Delta Airlines, IBM, Mercedes Benz and Banana Republic).